Hi, my name is Melissa and I'm a sophomore anthropology major with a concentration in archaeology and two minors in creative writing and art history. I'm from Vienna, Virginia and I'm on the Hofstra club Quidditch team. At the end of this spring break, my team and I headed down to Rock Hill, South Carolina for the eighth annual Quidditch World Cup. We are part of the Big Apple Quidditch Conference which is in the Northeastern Region of United States Quidditch. 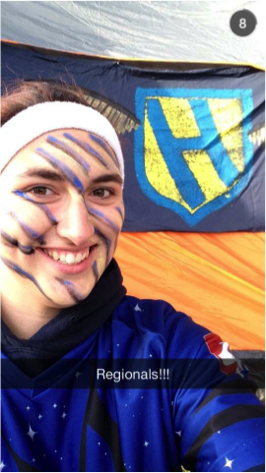 Quidditch was founded by Middlebury University in 2005 and Hofstra's team has been around since 2010. This will be Hofstra's fourth consecutive World Cup journey! We are currently 2nd in the BAQC and 8th in the Northeast region. 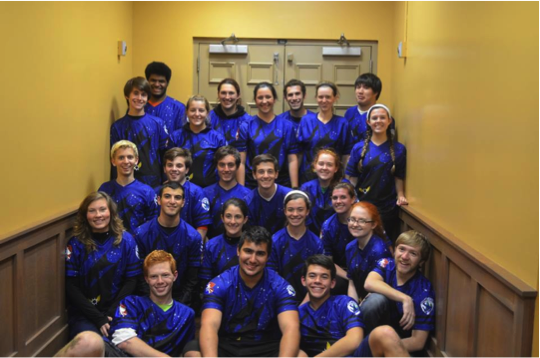 We do lots of tournaments and events throughout the year from Hofstra to Boston to Rochester. We recently went to Massapequa High School for a charity function and met a lot of great kids who were really into Harry Potter! Quidditch is a full contact, no padding sport with four different positions. Everyone has to have a broom in between their legs while on the pitch. Chasers take the quaffle (a slightly deflated volleyball) and try to score in the three hoops that the keepers protect. Beaters have dodgeballs and throw them at the other players. When you get beat, you have to get off your broom and tag up on the hoops. The final position is the seeker, who wrestles with a human snitch to pull a tennis ball off of the snitch's shorts. My team is my home at Hofstra. I knew that I wanted to join Quidditch when I applied to schools but I never thought that I would fall in love with a sport and group like this. I joined my freshman year and became a chaser on the team. This year I picked up the position of backup keeper, which has been a great experience. Without the support of my team I don't think I would be able to do as well as I have. All in all, I am glad to have found my niche at Hofstra. I know I will be friends with these people for the rest of my life. 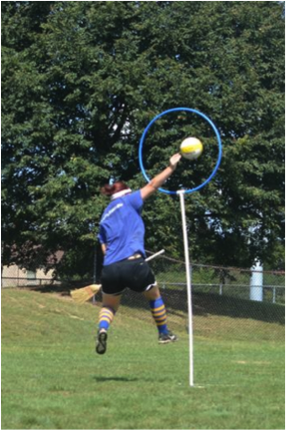 Update on Hofstra Quidditch's World Cup pursuits, via the team's Facebook page: "We did not qualify for bracket play but we are proud of our 2-3 record this weekend at ‪#‎worldcup8‬! A special goodbye to our seniors Theresa Buchta, Rob Walsh and our coach Colleen O'Mara!"